Maurizio Sarri believes there is far more to come from his Chelsea side despite making it four wins from his first four Premier League matches in charge with a 2-0 home defeat of Bournemouth on Saturday. Sarri had warned in pre-season that his new side could face a difficult start as the players adapted to his new ideas, having been hired just a month before the campaign got underway. 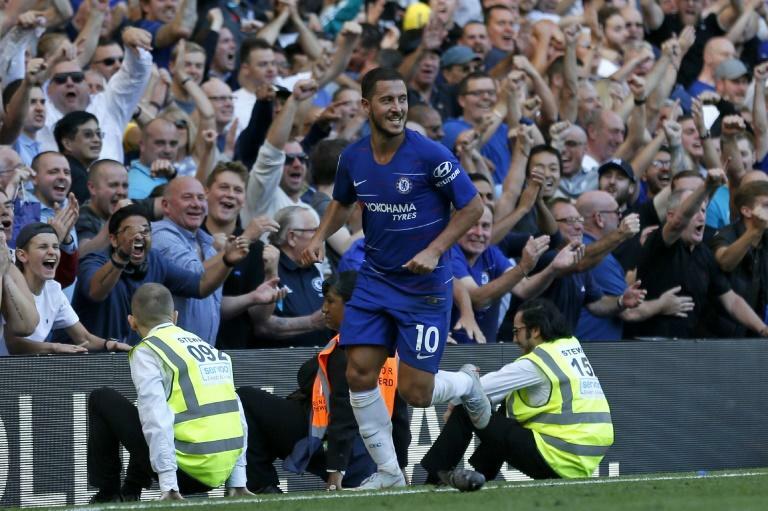 But there are few signs of any teething problems as goals from Pedro Rodriguez and Eden Hazard in the final 19 minutes maintained the Blues' perfect start and ensured they head into the international break positioned among the leaders at the top of the table. Sarri understandably declared himself satisfied so far but made it clear he expects to see signs of further improvement. "At the moment I'm very happy with my players," he said. "I'm really very happy to have 12 points from four matches, but I always think we can do more. We can improve. Especially in the performance." Victory over Eddie Howe's side, who were unbeaten in their opening three games, means expectations are inevitably beginning to rise at Stamford Bridge after last season's disappointing fifth-placed finish. But the Italian showed he was not about to get carried away when it was put to him that on four of the previous five occasions Chelsea have started the season with four wins, they went on to win the title. “I think that now, for us, it's better to think about the next match," he said, before offering perspective by pointing out exactly how far Chelsea had finished behind champions Manchester City last season. "The gap at the beginning was 30 points. I think it's very difficult to recover this gap in only one season. "I'm very happy with the four matches, but I think only, starting from now, about the next match. Not until the end of the season." 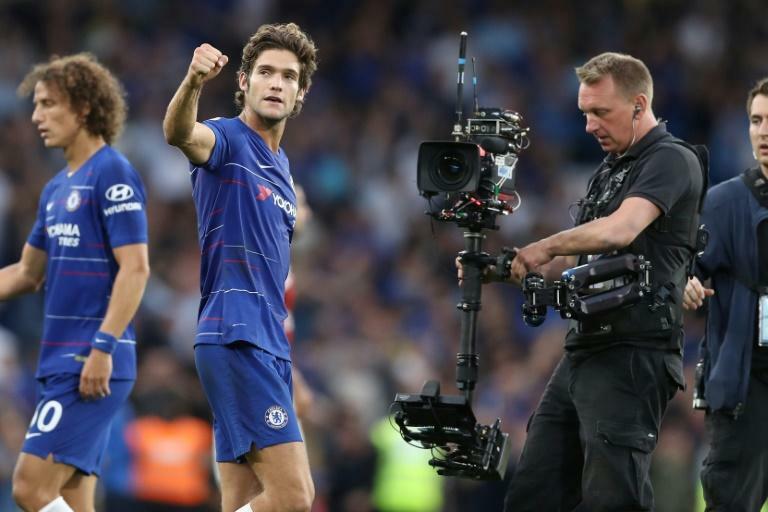 One of those to shine most under Sarri so far is left-back Marcos Alonso, and he played a prominent part in both Chelsea goals. The Spaniard exchanged passes with Pedro for the opener before repeating the feat with Hazard to set up the Belgian’s 85th minute strike. Sarri is in no doubt over Alonso's value in the attacking third, endorsing him as one of the best left-backs in Europe. But the former Napoli boss believes Alonso could go on to become the best in the world in his position should he improve his defensive qualities. "Alonso, at the moment, this position at left-back is maybe the best in Europe," said the head coach. "His physical qualities at a top level, I think. He's doing very well in the offensive phase. But I also think he can improve in the defensive phase. If he improves that, he could be the best left-back in the world." Bournemouth claimed a sensational 3-0 win on their previous visit to Stamford Bridge. But Howe believes Chelsea are a very different proposition this season. "I think they'll improve as the season goes on," said the Bournemouth manager. "Maurizio has a very distinct way of playing, really difficult to play against. "We prepared well and tried to nullify their threats as well as we could, tried to make it difficult for the individual talents to hurt us. The game was in the balance up to that first goal."